Make your little one look even more adorable as you dress him up in this half sleeves T-Shirt from the house of Zero. 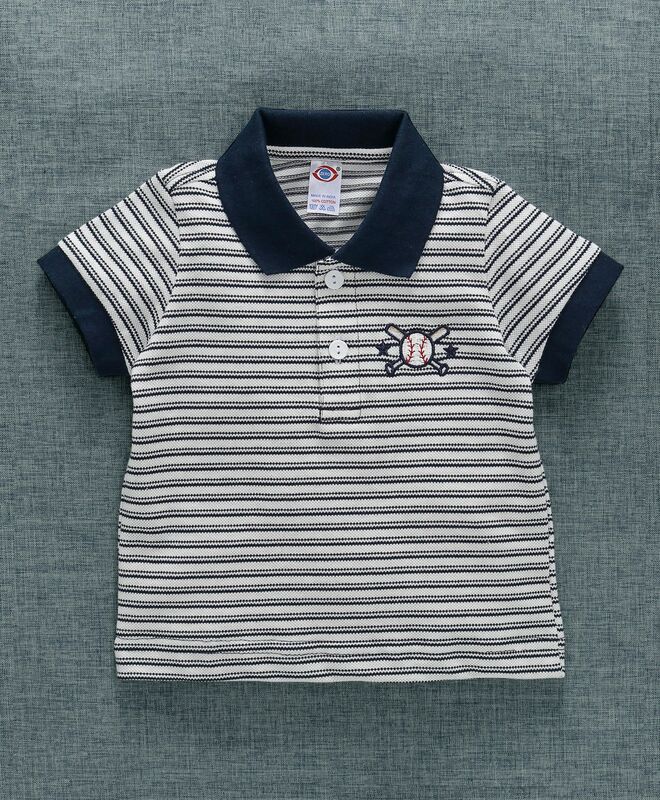 This Striped polo t-shirt is soft and super comfortable to wear. Designed to excellence, this printed T-Shirt will go well with shorts, sandals and cap.